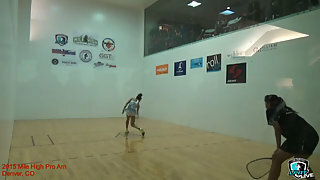 Description: #1 Paolo Longoria vs. #2 Maria Jose Vargas in the finals of the Mile High Pro Am in Denver, Colorado. Who will win this LPRT major event? Between the two best female players in the game.